Best Buy is currently running a cell phone promotion that ends tonight. The deal began February 1 and promises a $50 gift card to shoppers who pre-register to buy a cell phone from Best Buy sometime before the end of this year. Our original report on this story is here. The promotion was launched as part of a Super Bowl promotion. More often than not, shoppers head to their carrier when it’s time for a new cell phone. Best Buy’s promotion appears to be an attempt to capture some of that traffic. It’s expected that, by making a commitment, and with a $50 Best Buy on the line, shoppers will be more likely to buy their next phone at Best Buy. But what if a shopper pre-registered to buy their next phone at Best Buy, but ends up getting it somewhere else? “There is no obligation once a phone number is registered,” Best Buy said in a statement. However, it should be noted that the shopper only receives the gift card once the phone is purchased – not at the time of sign up. 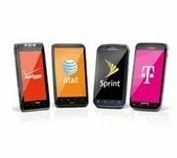 The promotion is good for phones from Verizon, AT&T, Sprint and T-Mobile with a two year contract. The sign up form is at: www.bestbuy.com/phonefreedom. The sign up must be completed by midnight, US Central Time, tonight, to qualify. Up to 5 phone numbers per family can qualify.